Battlefield 1 has been available since last week, but here are some more multiplayer vidéos captured on PC. It should allow you to see that the game is as fun to play as it is beautiful to look at. Who's playing this in the videos? Pretty good medic. Keeping assaults alive. I gotta get this. Spent tons of cash on PSVR and games. Ps4 pro and Mario party for my nephew then BF1 if I can swing it. I play a bit of Assault in some maps, but I still prefer medic. You need 8 (and preferablly 16GB) at modern games. The game actually tuns pretty good on older hardware!. 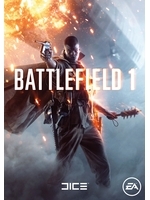 I buy it for the single player but I don't know why DICE make their games hard even on the easy setting, even in BF4, I think I won't buy it for the single player again. Do you even read system reqs before buying a 60€ game? I love the medic class as well. Im pretty terrible as a scout so i usually switch between the other 3 but medic is definitely the most fun for me. Battlefield glory. I don't need another mp shooter for years to come. Does it feel like a walking simulator? That is what the beta felt like to me. Spawn across the desert, all horses and vehicles are already taken, start walking..... walk 2-3 minutes, get shot in the face, repeat. Does it feel like a walking simulator? Play with a squad, sometimes wait a few extra seconds in the spawn screen to spawn on an squadmate or a recently captured point. But be careful that it's not right into the action. With a bit of planning, I very seldom have to spawn with a long walk. 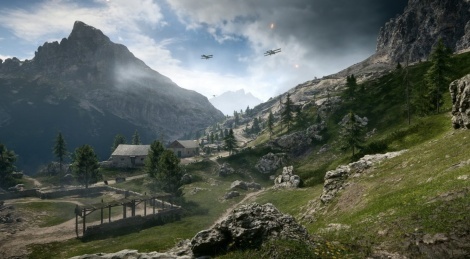 When I do, I'll pick an appropriate class and look for points of interest on the way - AA guns for example, take down a couple of planes - or enjoy a rare minute of watching the action and view while I can. Feels amazingly well paced to me.